NFL Talk Plus Episode 79 – Delayed Reactions!? Recorded earlier this week, and news has changed, but here what Keith and I thought about things this past Wednesday. Plus, as we love to do, we talk football. Check out the show and we hope you enjoy. 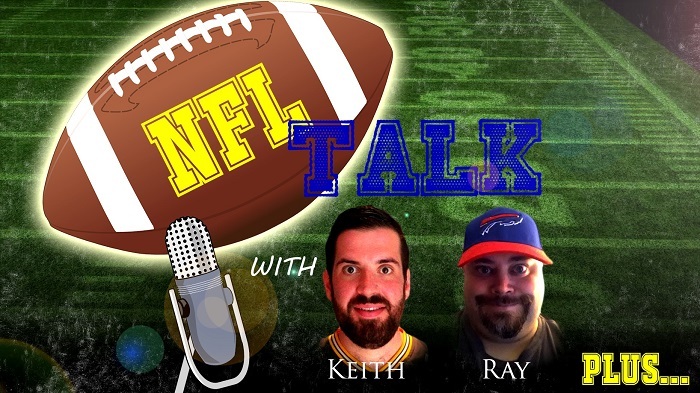 NFL Talk Plus Episode 78 – Late But Great! Howdy folks! We’re here with a new edition of the NFL Talk Plus show. A tad later than planned as editing took longer than expected… but then I fell asleep for 13 hours. So before the games get going this Sunday, check out what Keith and I thought of the past week in the NFL. Thanks for listening and hope you enjoy the show.